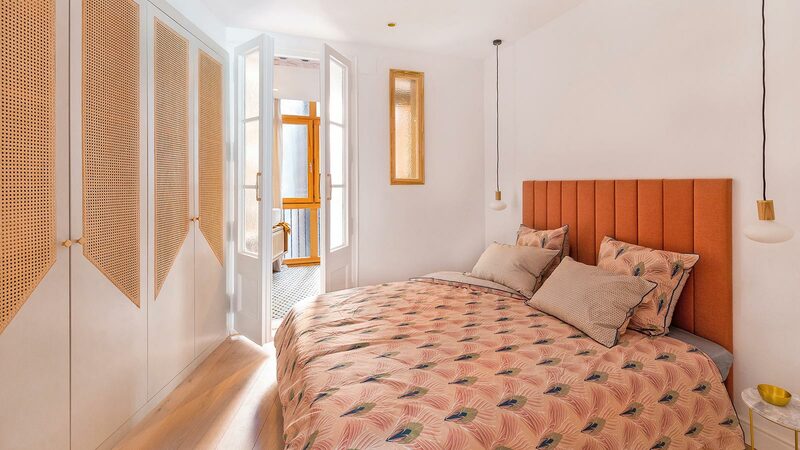 The KRION® Solid Surface compact mineral from Systempool material has been chosen by the famous architect Jean Pierre Meignan to carry out the facing of his latest architectural project in the French city of Saint Malo. 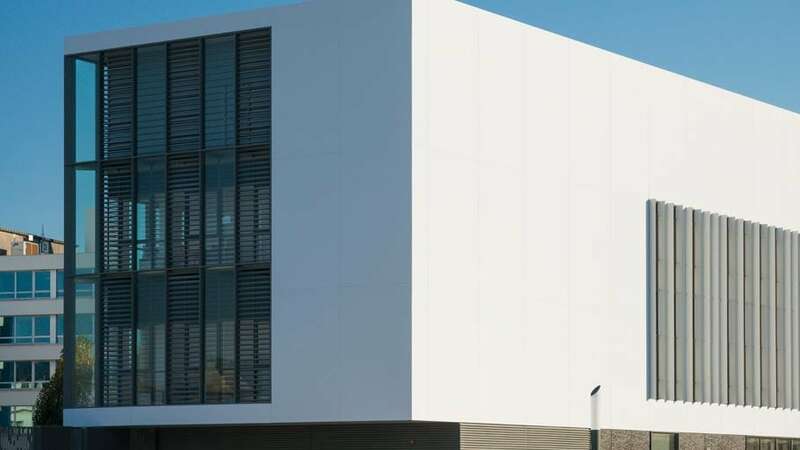 An ambitious architectural challenge for which it has received the cutting-edge technology and building systems from Butech, through the installation of a modern and elegant ventilated facade of 2500 square metres. 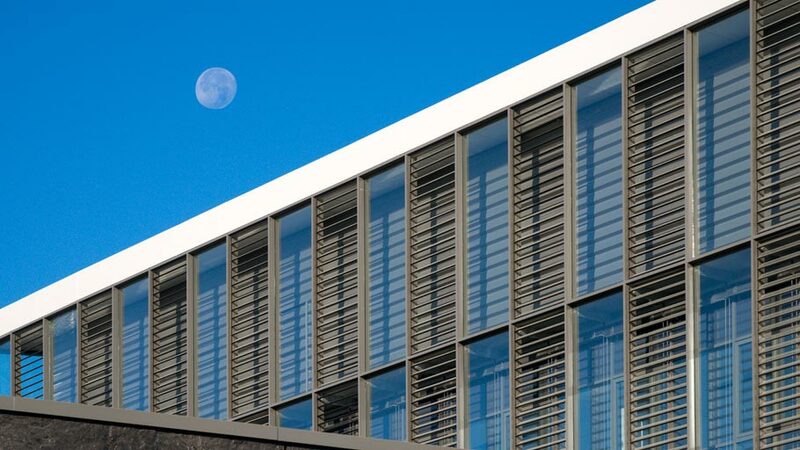 The building system set up for the ventilated facade is the K-FIX from Butech, which has been covered with KRION® Solid Surface acrylic stone 6902 Light Grey from Systempool. 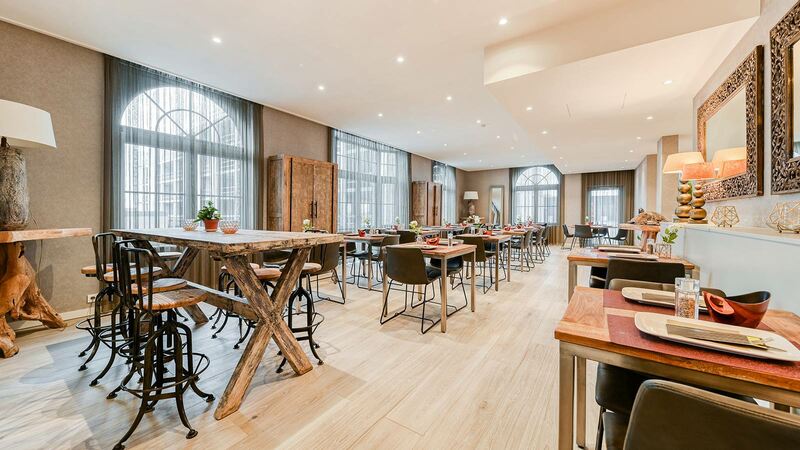 An impressive aesthetic finish and with the highest quality that matches perfectly with the Global Research and Roullier Group Development Centre, the company’s flagship store in the Breton port of Saint Malo. 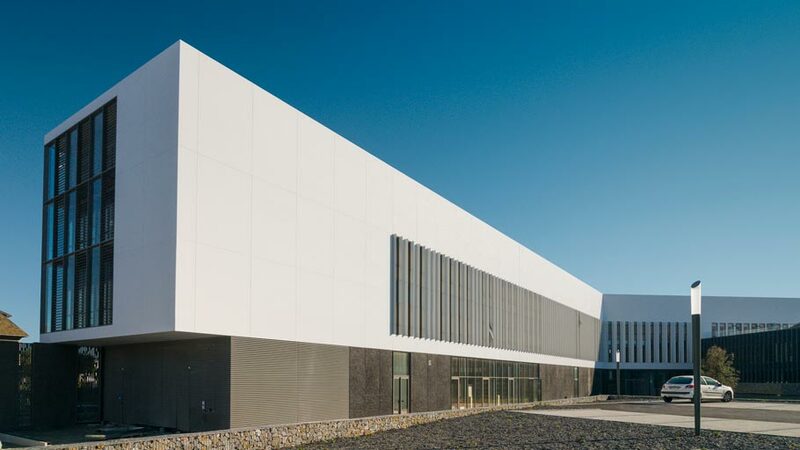 It should be underlined that this impressive and innovative ventilated façade project that the KRION compact mineral from PORCELANOSA Grupo has been used to frame the curtain wall that defines the building as well as the roof leading to the Global Technological Center of Roullier Group. 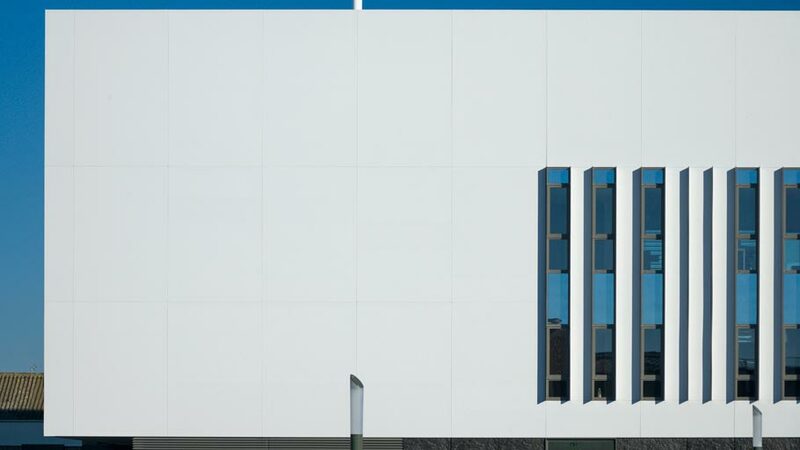 This facility has got the attractive contrast of textures and colours to become more noticeable, getting smooth and sober sheets in the Solid Surface grey tone; prefabricated concrete walls acting as a base of the building; and the glass panels and curtain wall slats that make up the facade. The interior façade, however, is uniform, with a predominance of the KRION Solid Surface compact mineral with ingenious vertical openings. Fine detail that gives personality to the inside of the facade, character and integration with the other volumes of this sophisticated architectural project. The never-ending performance and properties of KRION® have been key to the selection of the material as the leading figure in this project, highlighting among others its high durability or resistance to solar radiation or extreme atmospheres, since this construction is located only 20 metres from the Atlantic Ocean. 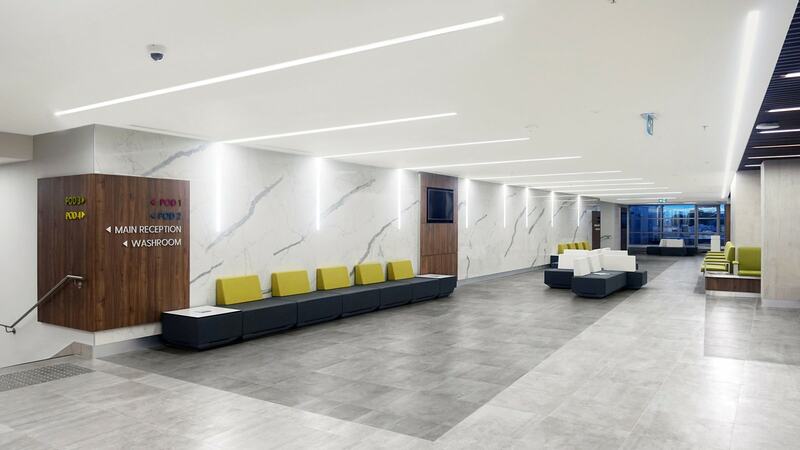 The guarantee provided by the Avis Tecnique 2/14-1624 Système PORCELANOSA KRION LUX Butech Building Technology certification, has also been crucial. 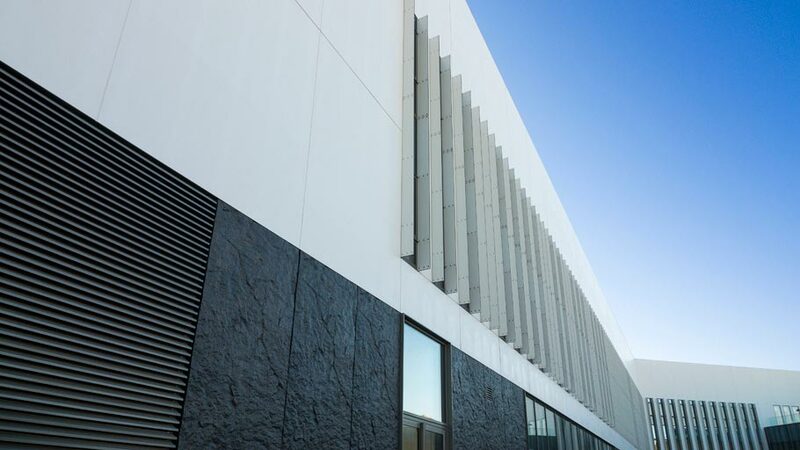 Because of its technical difficulty, the installation of the façade of the Roullier Group Research and Development centre has counted on the technical assistance supplied by PORCELANOSA Grupo’s installation engineers. Specialised in vegetal and animal nutrition, Grupo Roullier has over 50 years of history and a team put together by more than 7.000 workers in 46 countries. 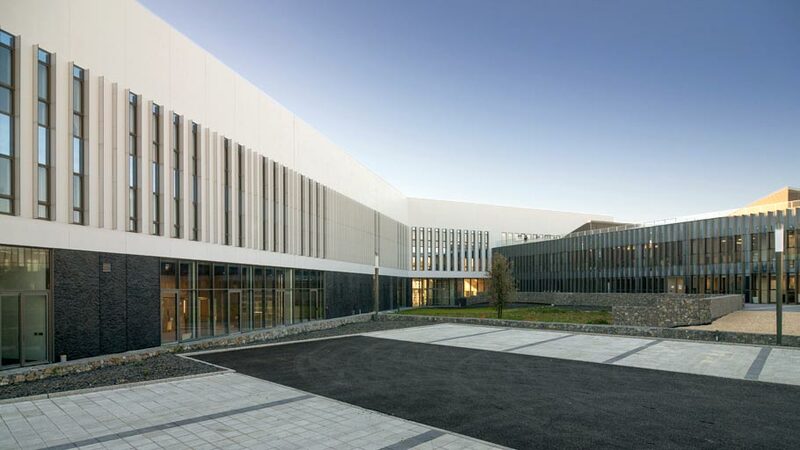 The corporate headquarters of the company in Saint Malo is absolutely stunning as well as being ambitious, consisting of a plot of 2 hectares and a total area of more than 12.000 square metres which will accommodate greenhouses, several labs, a café, a conference room, offices and physics or microbiology laboratories, among others.